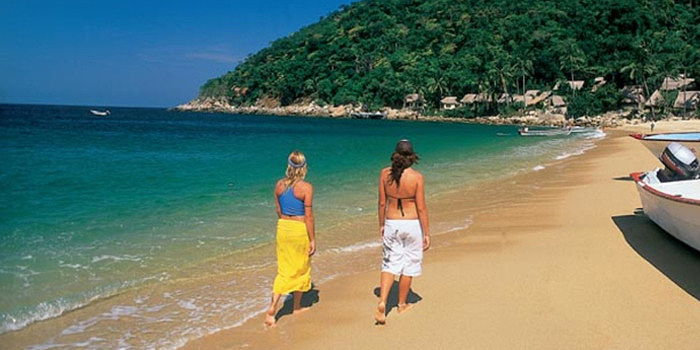 Escape from the throngs of tourists and travel to two of the most relaxing getaways on Banderas Bay. 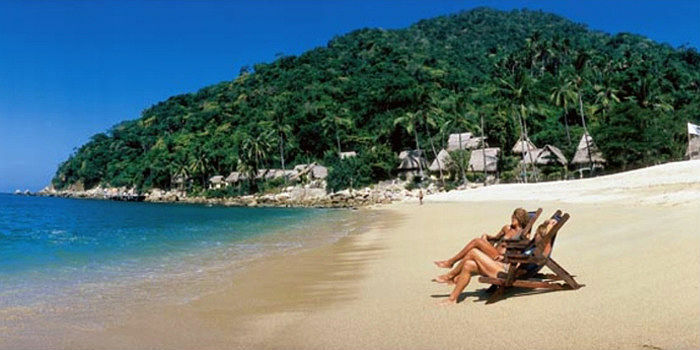 Both Majahuitas and Yelapa are the ideal peaceful retreats from your typical overcrowded tourist enclaves. 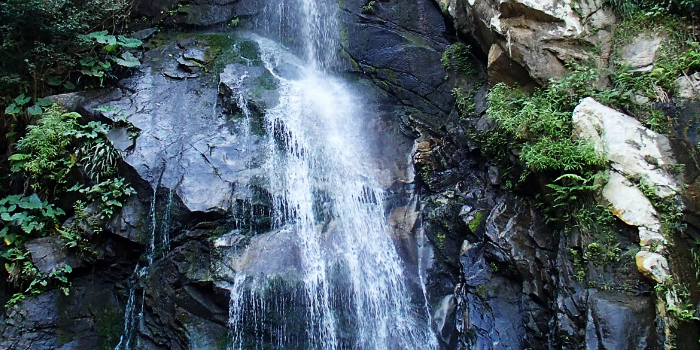 Each of this natural spots has its own unique charms. 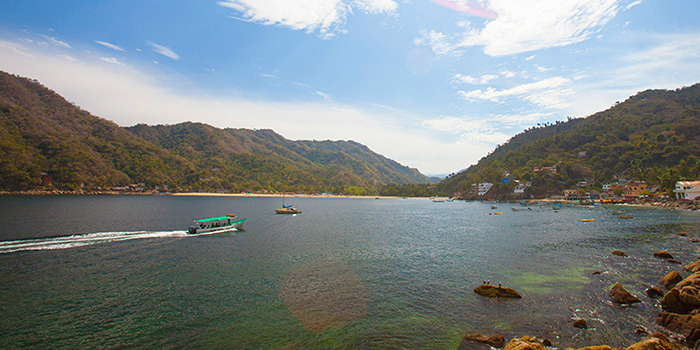 Whether you wish to discover an amazing underwater world by snorkeling at the splendid cove at Majahuitas, stroll through the quaint fishing hamlet of Yelapa, or hike a forest trail to a remote waterfall that tumbles into a clear pool, you'll have a wonderful time on this combination tour. The great thing about this tour is that you don't have to choose between these great activities - you can do them all. 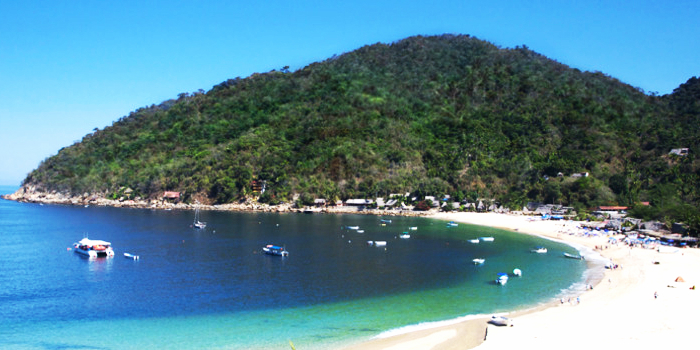 Yelapa is a quaint fishing town on Banderas Bay that is only quickly accessible by water. This relatively isolated location only adds to the allure of this charming coastal village. 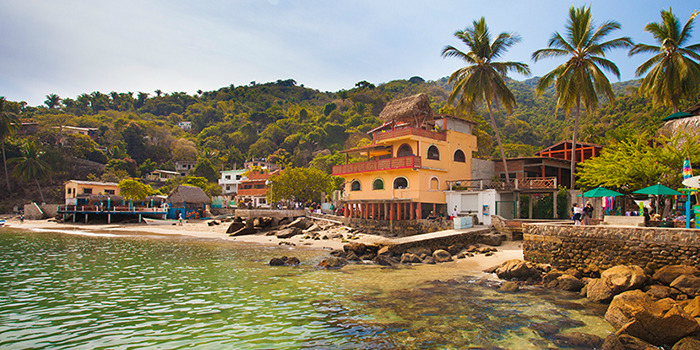 Once you reach Yelapa, you can stroll through the village and visit its attractions, take a hike to the cascading waterfalls, or ride a horse into the back country. You can also opt to simply stay on the beach and sunbathe, swim and snorkel. 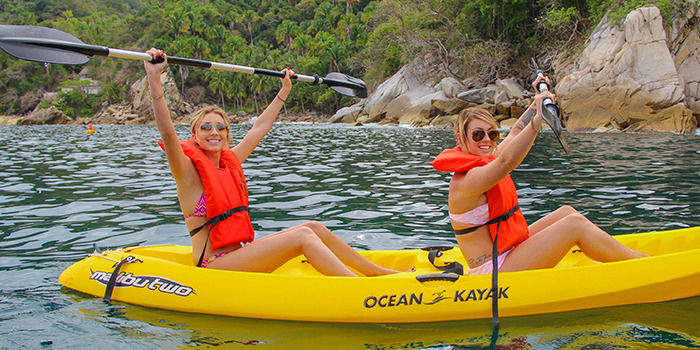 After enjoying a delicious lunch, the tour will continue to Majahuitas, a secluded cove that, like the town of Yelapa, can only be reached by boat. Truly escape the trappings of civilization and the more crowded snorkeling spots to fully enjoy the unspoiled beauty of this pristine cove. 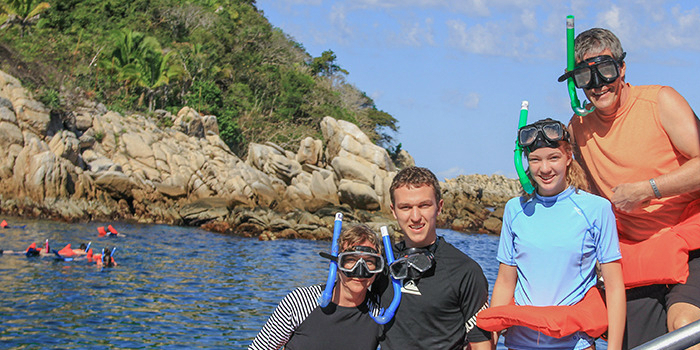 The snorkeling is really the highlight of visiting this marvelous place. The cove is protected from exterior winds and waves, so the visibility is exceptional. You'll see a jaw-dropping kaleidoscope of tropical fish swimming amongst variegated coral. 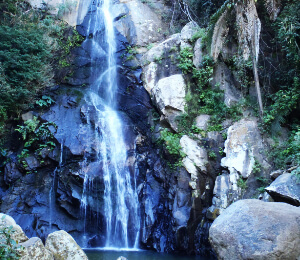 You can also enjoy swimming, kayaking, hiking and bird watching. Nature enthusiasts can spot a number of different indigenous species, including birds, reptiles, and, depending on season, Marine Turtles, Bottlenose Dolphins, Eagle Rays, and Humpbacks.